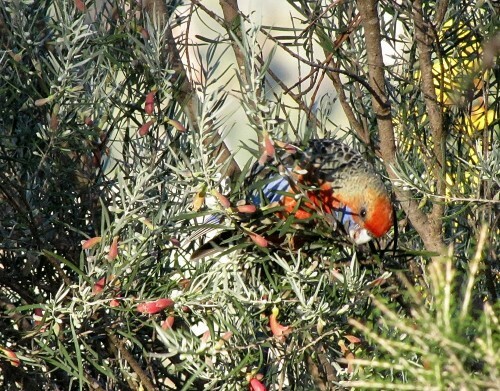 In our garden and five acre block of land on the outskirts of Murray Bridge in South Australia we have many different species of birds – over 100 in fact. Of those that are resident or occasional visitors we have a good range of parrots. 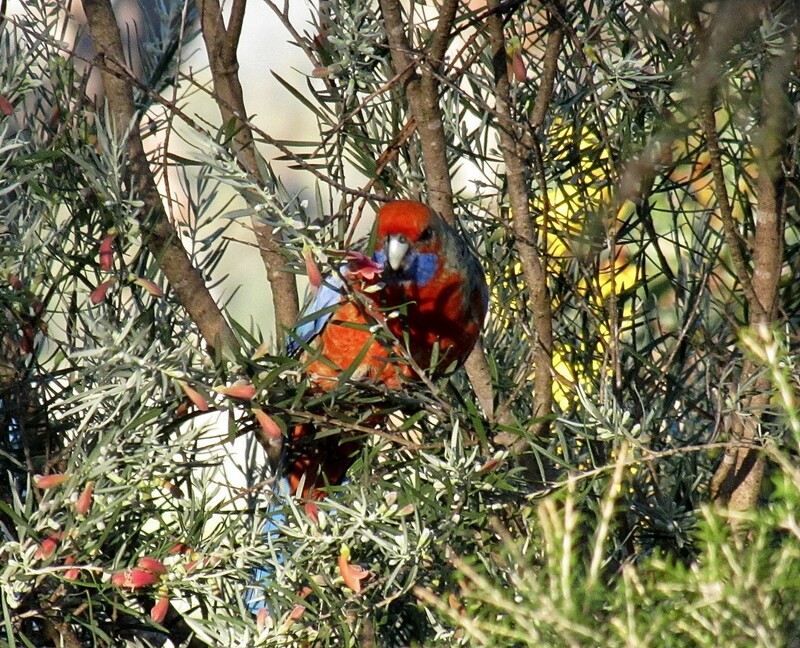 Every month or so we have a short visit from several Adelaide Rosellas, shown in today’s photos. This is a sub-species of the Crimson Rosella of the eastern states. 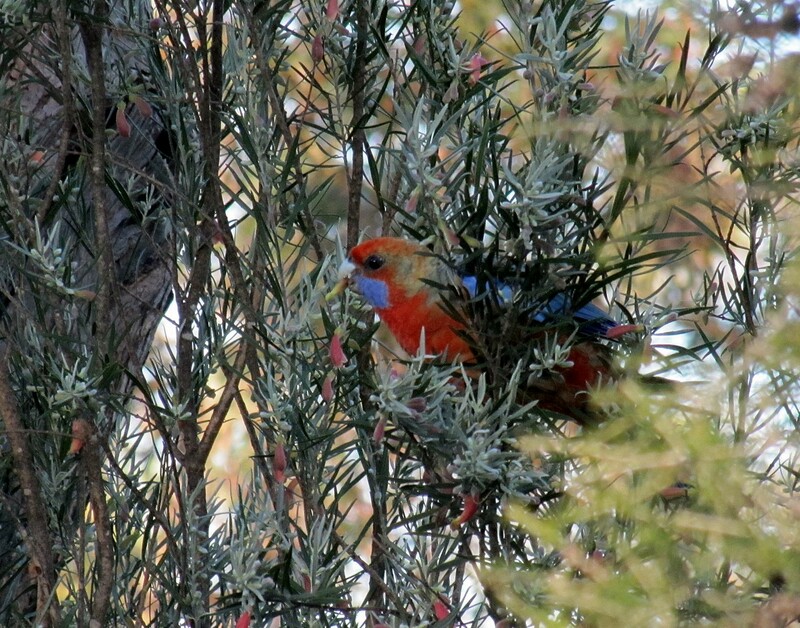 The Crimson Rosella is a much deeper red colour, while the Adelaide Rosella is more of an orange colour. In the northern parts of its range in South Australia (eg the lower Flinders Ranges) the orange colour can be quite washed out. The birds which came to visit us last week are much brighter red than most Adelaide Rosellas, leading me to think that they may be moving north from the South East districts of South Australia where the more brightly coloured birds occur. Just a theory. On the other hand, I don’t have to travel too many kilometres west to see the typically washed out orange rosellas common in the Adelaide region.